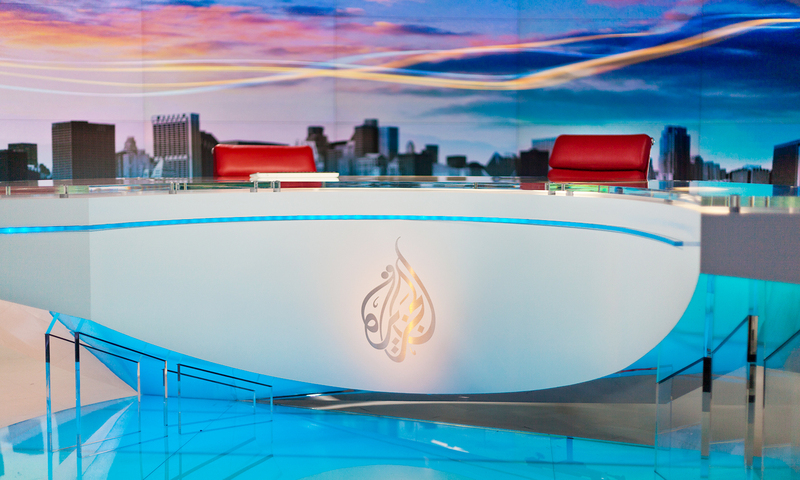 Al Jazeera America brings the voice of the Middle East to the lineup of 24/7 cable news, taking a place beside CNN, MSNBC and FOX News. Form clearly follows content in this highly immersive and elegant context. 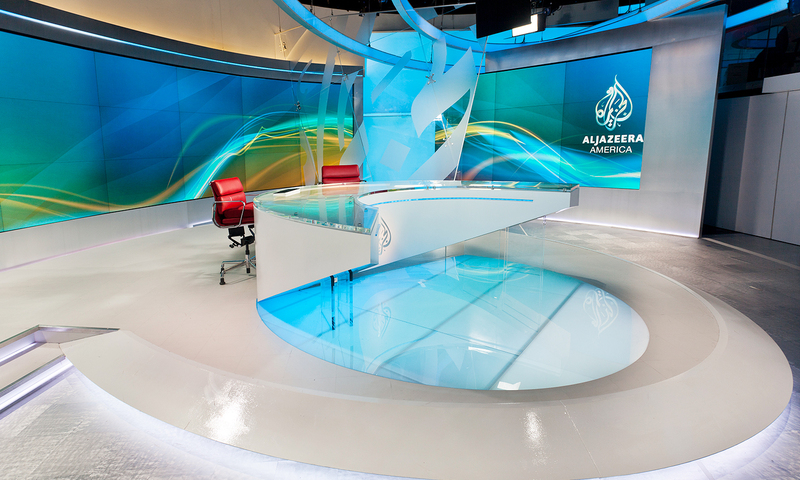 The clean, modern lines and simple color palette underscore the network’s goal to offer a fresh perspective on the global news landscape. 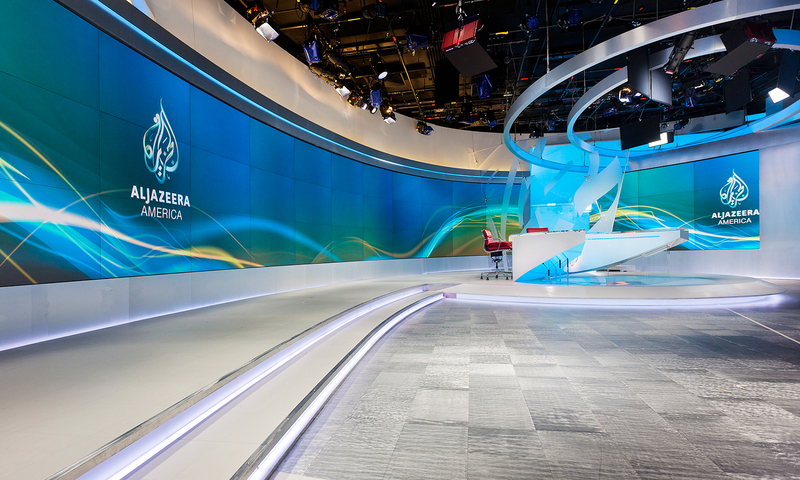 The focus of the studio is a sweeping video wall capable of quickly altering the atmosphere by displaying imagery designed specifically to support the story at hand.